In A Pinch For A Hair Tie? TwistieMag To The Rescue! 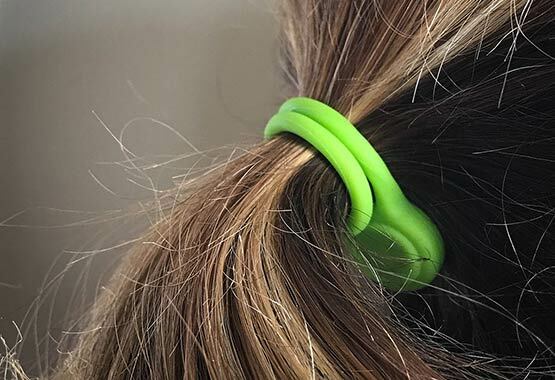 Yes, a TwistieMag makes a fantastic magnetic hair tie too! The super-soft and ultra-stretchy silicone wraps around even the thickest hair and the strong magnets hold tight. The silicone is easy on your hair too... no catching hair and ripping it out! Whether you're in a pinch for a ponytail holder, or you want to match an outfit with one of our bright TwistieMag colors... we've got you covered! 💡 Twistie Tip: There is a slight learning curve to putting your hair up with a TwistieMag. At least for your first time, have a friend or loved one help you out until you get the hang of it! NOW! 20 Colors To Choose From!